• At Arlene Schnitzer Concert Hall, 1037 S.W. Broadway, the Oregon Symphony, conducted by Steve Hackman, presents "Tchaikovsky v. Drake," 7:30 p.m. Thursday, Nov. 8. Then the symphony, conducted by Norman Huynh, plays the kids concert "Pirates!" at 2 p.m. Sunday, Nov. 11. Tickets: see www.orsymphony.org. • The Devil Makes Three, along with Erika Wennerstrom (from Heartless Bastards), plays Crystal Ballroom, 1332 W. Burnside St., 9 p.m. Friday-Saturday, Nov. 9-10. Tickets: $29, $34 day of show, www.crystalballroompdx.com. • Roots rockers Donna the Buffalo performs at Mississippi Studios, 3939 N. Mississippi Ave., 8:30 p.m. Saturday, Nov. 10. Tickets: $18, $20 day of show, www.mississippistudios.com. • Lucy Kaplansky has a new album, "Everyday Street." There'll be an album release show at 7:30 p.m. Sunday, Nov. 11, at The Old Church, 1422 S.W. 11th Ave. The acoustic-based album features harmonies from the likes of Shawn Colvin and Richard Shindell. Tickets: $20, $25 day of show, www.theoldchurch.org. • Guided By Voices has a new album ("Space Gun"), and the band will stop at the Wonder Ballroom, 128 N.E. Russell St., 7:30 p.m. Tuesday, Nov. 13. Tickets: $35-$40, www.wonderballroom.com. • On his "I See You Tour Part 2," hip hop artist Russ is still basking in the success of "There's Really A Wolf." He'll perform at Veterans Memorial Coliseum, 9 p.m. Tuesday, Nov. 13. Tickets: starting at $22, $13 parking, www.rosequarter.com. • The Cascade Blues Association 2018 Muddy Awards will be held at 7 p.m. Wednesday, Nov. 14, at Alberta Rose Theatre, 3000 N.E. Alberta St. For info: www.albertarosetheatre.com. 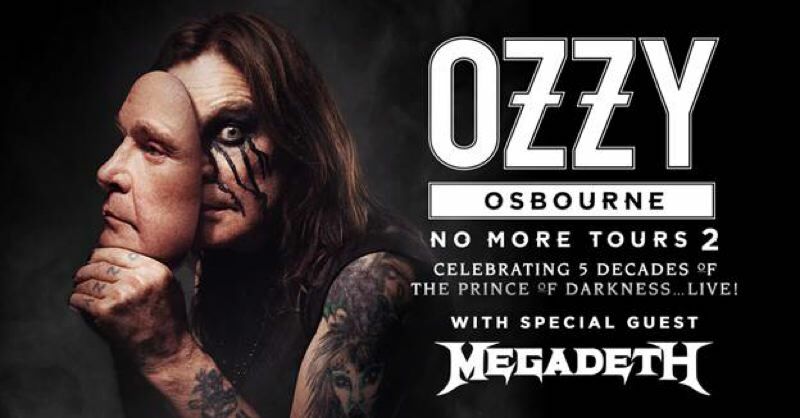 • Ozzy Osbourne will come to Portland next year on a tour with longtime collaborators, including Zakk Wylde (guitar). He will be at the Moda Center on July 16. Tickets go on sale at 10 a.m. Friday, Nov. 9, at www.LiveNation.com.